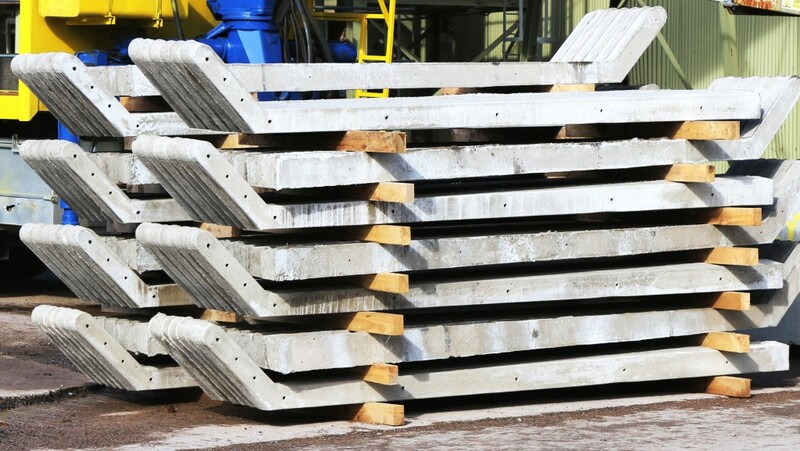 Bent Arm Posts (Fig 1) are manufactured in a Dry cast system using 60N/mm² concrete, resulting in a much more dense durable product but does not have the smooth finish of wetcast. Intermediate Posts shall be spaced equally but not to exceed 3.0m centre to centre. Corners Double strainer posts are used at corners which eliminate the confusing of internal or external corner posts. The cranked extension for barb wire is normally directed inwards towards the property being served. Line wire or barb wire can either be passed through the hole in intermediate posts or more commonly put on outside of post with a wire stirrup passed through hole in post and secured to line or barb wire by three complete turns on each side of post. 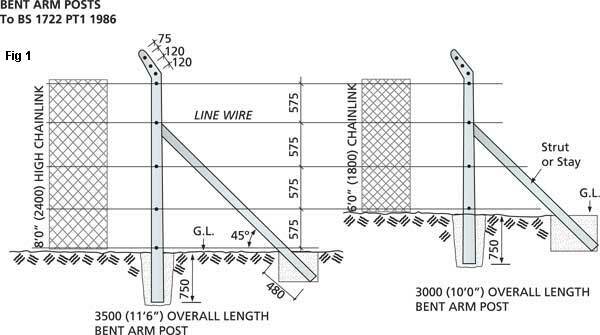 The chain link fencing should be attached to the line wire on outside of post with wire ties at approximately 150 mm crs on top row and 450 crs on all other rows.